Halloween celebrations give kids and adults an excuse to act silly and play dress-up. Students in the middle grades may be moving into the mindset of being too old for Halloween, but these spooky activities are sure to keep their attention. Halloween is the perfect time to put on your lab coat and get creative with scientific experiments straight out of a horror movie. When it comes to academic activities, students in this age group are looking for instant gratification. 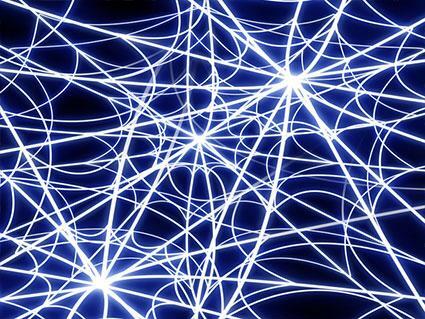 Look for concepts that can be demonstrated quickly. With this crowd, slimy and gross is the way to go. Nothing says Halloween like a dark, spooky room and some mysterious, slimy spiderwebs. *Most tonic water sold in grocery stores contains quinine. Place the rice noodles into a small container and cover with tonic water. Let sit for about 15 minutes. Drain the noodles and place in the large tote bin. Add some plastic spiders if you'd like. For a more individualized approach, have each student use a small amount of the ingredients and a small bowl. Kids of all ages find endless amounts of fun in launching objects across the room or at each other. A catapult can be used to launch things in a distance contest, to show skill in aiming, or for speed and durability. Students will learn engineering skills while creating a custom catapult and have fun flinging Halloween treats. Students can follow the specified instructions described here, or experiment with the materials to create their catapults. If students would like, they can decorate and customize each of seven craft sticks using the markers. Allow a few seconds to dry. Begin by stacking five craft sticks, one on top of the other, with flat sides together. Use one rubber band to secure each end of the completed stack about one-half inch from the end. Take the remaining two craft sticks and stack them in the same manner as before. Use one rubber band to secure one end of the stack, taking care to wrap the rubber band close to the end of the sticks. Open the two-stack of sticks and insert the five-stack about one-half to one inch from the rubber band holding the two-stack together. Use the last rubber band to hold all seven sticks together where they meet. Glue the cap upside-down onto the end of the top stick on the opposite side of where the two-stick stack is held together. Let this dry. Load a candy corn into the cap. Push on the cap and release to launch the candy. With all the witches, goblins, vampires, mummies and other monsters running around you may find students have a lot more creative ideas around Halloween. Capitalize on these wild imaginations with open-ended art projects. Nearly every amusement park, fair and carnival has some form of large faceless cutouts where a guest can place his face into a hole, making him look like an animal or character. Halloween is a great time to encourage creativity by having students design and make freaky cutouts. Have each child draw an oval or round shape about six inches wide and eight inches long, or the size of his face. Ask each student to sketch a frightening or funny creature onto the piece of cardboard using the oval in place of a face. Students should then use the box cutter to cut out the oval shape. Using paint or any of the other provided items, students can decorate their creatures to look realistic. Once dry, students can take turns placing their faces in the cutouts created by the class. This makes a great photo op for the group. Middle schoolers are known for having a dramatic flair. Making a movie will be fun, educational, and play to their theatrical strengths. You can take the traditional route and create an original horror film or use a simple animation game like this one from ABCya.com. Making a movie using a digital camcorder will require a team effort. Students should brainstorm to come up with an original plot for the short film. Once a concept is selected, choose the best writers in the group to create the screenplay or script. Delegate roles to the rest of the group including costume designers, camera operator, location scouts and people to gather props. Once the screenplay is written, a location is secured and costumes have been found, it is time to rehearse the film. 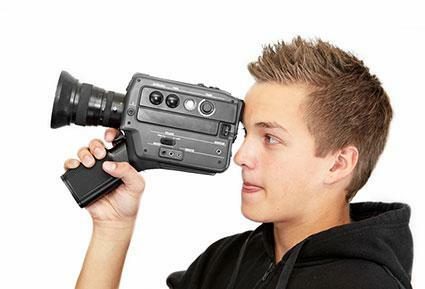 Using a digital camcorder, students can begin filming. After filming is complete, you will need to use the software that came with your camera to edit the movie. You are now ready to host a showing to see how all this hard work paid off! There are few things more motivating to middle graders than food. Activities that incorporate light snacking during the process can encourage participation. Cut the apple into quarters. Place each quarter in a small cup. Mix one-third cup of baking soda and one-third cup of salt together for each piece of fruit. Pour the mixture over the apple and leave uncovered, out of sunlight, for about one week. After one week, examine the fruits to see how they have been preserved. This is a great time to examine principles of dehydration. 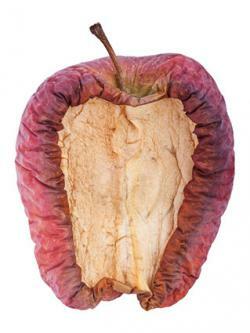 Students should not eat the mummified fruit, but can snack on extras. Zombies have come back from the dead, but not completely. This is the same concept in creating zombie raisins. You can rehydrate a raisin, but only to a certain extent. The result of this simple project is edible undead grapes. Boil enough water to cover the raisins completely. 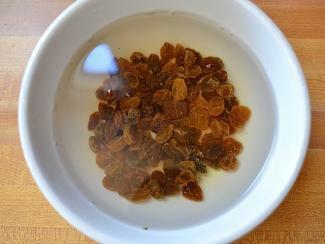 Pour the raisins into a bowl and cover with boiling water. Cover the bowl and wait five to ten minutes. Strain the raisins and you now have zombie grapes. Eat them, before they eat you! This activity offers immediate gratification and a lesson in rehydration. Some Halloween activities are just plain fun, not educational or purposeful. Including some pure fun in your Halloween celebration can help even the most reluctant of kids to join in. Students in the middle grades are often caught between the allure of dressing up and getting free candy or maintaining an image and establishing maturity by skipping out on these 'childish' traditions. Offering an activity like classroom trick-or-treating involves the whole class and even the entire grade so everyone can feel silly together. Team up with other classes to host an indoor trick-or-treating event in your hallway. Using only items in your classroom, students must make a costume for trick-or-treating within a given time limit. Those who successfully create an appropriate costume may then trick-or-treat at the other classrooms where teachers will be stationed with goodies. This event can be done on the fly, but would be most fun and successful if prepared ahead of time. Teachers can be sure to have treats on hand and a variety of supplies in the classroom. Coordinating time limits and time frames with other classrooms is a must. Think of this as a murder mystery game appropriate for tweens. Supplies: To prepare you will need to make enough cards for each student to receive one. Cards can be any size and made from any material as long as the words on one side are not visible from the other side. One card should say "Witch." Split the rest of the cards equally into three groups. One group should each say "frozen" another should say "melted" and the last should say "turned to stone." Direct students to keep their cards secret once they receive it. The person holding the "Witch" card must wink at people, causing them to either be frozen, melted or turned to stone. All other players must try to figure out who the witch is before she winks at them. Hand out one card to each student. When you give a signal, students should start walking around the room. If they are winked at, they must keep the "witch's" identity a secret and follow the instruction on their given card. The student who figures out who the "witch" is before being winked at is the winner. 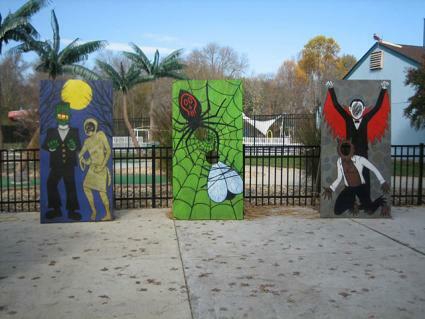 Halloween celebrations can be fun for children and adults of all ages. 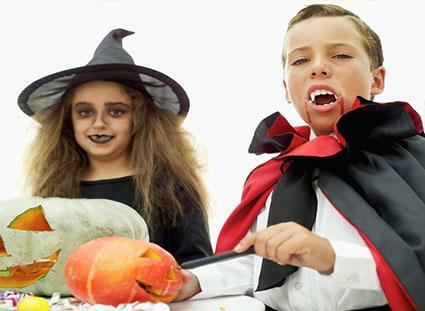 Planning age-appropriate activities can help your haunted event go from creepy and weird to magical fun.